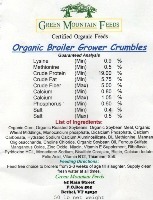 If you are looking for a humanely raised, organic-fed, supremely tasty chicken - you have come to the right place! Our birds are grown only during the peak of the season to ensure maximum tastiness. When the weather in the northeast begins to warm in earnest, typically by early May, our birds are moved to pasture so they can live a healthy and comfortable life where they consume large amounts of growing forage. We never grow birds too early in the spring or into the early winter when pastures have stopped growing - as some farms do. This philosophy limits our production capacity but also ensures our birds are always grown in a healthy environment which benefits both the birds, the pastures, and your plate! In a typical season we grow five separate batches of birds, with the birds ready for harvest beginning in early June. Depending on the season we may grow as many as four different breeds of meat birds which are available in varying quantities throughout the season. We love to trial new breeds as we continually seek the best tasting and healthiest birds we can find. We work closely with our hatchery to ensure we are getting the strains and breeds best suited to our growing methods. 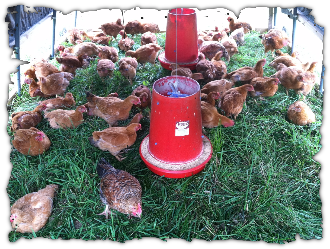 Our birds always have access to shelter, fresh clean water, healthy grains and lush pasture. Once out on pasture our birds spend their days with continual access to healthy pastures full of clovers and grasses, sunshine, and clean fresh air. The open floored coops are moved through the pasture daily (sometimes even twice a day) to guarantee a healthful and clean environment. The combination of natural light cycles, plentiful forage, excercise and organic grains ensures healthy tasty birds. The birds enjoy ranging in the early morning and evening and usually return to the safety of the coop at night for protection and comfort. The coops are surrounded by electrified fencing to provide additional protection from wandering dogs and other hungry predators. 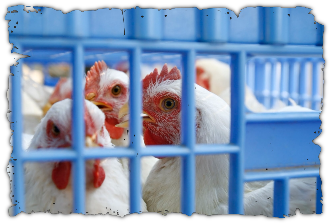 Our birds are now processed at USDA facility in Rhode Island. 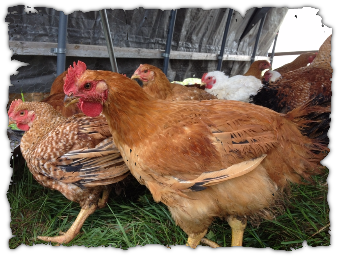 Most of our meat chickens are sold in advance via our website. In early March, birds can be reserved with a small deposit and then picked up at our farm throughout the growing season on pre-determined dates, beginning in early June through October.